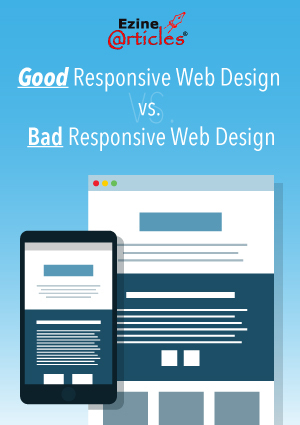 Still not convinced you need to make your website responsive? We recommend reading our previous post: Responsive Web Design is Now Necessary to Succeed. Do you have any design tips for responsive web design? I was just thinking about this today. While I want my posts to look good on people’s desktops – I would rather they look good on mobile. Over 70% of my traffic is mobile, and missing important elements on their screen is going to hurt my blog more. A good starter list. Thanks. I’d like to emphasize your point that a lot of (unprofessional) professional designers seem to hate: ON A WEBSITE THAT YOU WANT PEOPLE TO KEEP VISITING, DO THE EXPECTED! It’s like driving a car. Drivers who love the ‘different’ and ‘unexpected’ tend to catch out the other driver. Result? A lot of near misses and the occasional fender-bender. Occasionally a nasty crash. It’s just the same with websites. Your visitors DO like innovation, neat ideas and a rich experience. But they like the FAMILIAR a lot more. They want to find the navigation cues they know where they expect to see them. They want to see what you’ve got in outline without a lot of stuff hiding the meat. They want to find your call to action easily, but also to see where to get more help without having to hunt for it. Above all, they NEED text they can read: plain font, right size. A desktop/laptop layout does this one way; a small screen device does it differently – they have to be different because their parameters are necessarily in conflict. Your design must do both of these well whichever method to go responsive you choose. One of the best practice is good user interface. We have a very good example of Wikipedia. It have quality content with best internal linking structure on each relevant term in each page. Thank you for this topic and your hints. But do Google itself have responsive template on their Blogger package? because I use one of their templates for my blog but still when I run my sites on their testing medium sent to me; it fails on two occasions I have tried. Though I found one of my articles ranked on page one via Google plus yesterday. Now what can we do to pass the test? For I know this same problem applies to other bloggers. You’d think so, elevator! Someone at Google needs a kick up the pants to arrange that a Google website follows Google requirements. A few thousand Blogger bloggers telling them so will be the best way to do that, so get onto them now! i also make my site responsive and you know Google hardly ever broadcast big improvements with this much enhance discover, so it is really kind of apparent when Google is forcing an agenda vs. an algorithms. Thanks indeed for clarifying some of the important Dos and Don’ts that one has to be mindful during web design. In fact, I have had some of my visitors saying that they couldn’t access one of websites with certain mobile devices. Highly imformative and useful post written ion simple language . Thanks, Courtney. Nice one, thanks for great tips. I would stress on eliminating unneeded parts of the original design (especially scripts), avoid loading unneeded scripts and styles, and making general content shorter by using collapsible tabs, hidden menus etc. Plus mobile first approach in CSS helps to reduce the code size if it is done correctly. Think Bootstrap or Foundation frameworks. Thanks for this articles. But one thing there is no responsive web support package from Google. The template we are using are not so convinced that easy for a responsive site. Thanks for this guide, its really informative and helpful, specially for newbies. Thumbs up for you. Thanks for your precious article. Actually i was in search of this information that how to make our website responsive because after 21st April Google updated their algorithms to favor responsive web design and include mobile friendliness as a ranking signal so it was necessary to know about google guidelines. Thanks for sharing this article great job..
also you have to remember that picture which you use for your website their size was not larger than your website needs. These type of images make your website loading time is higher. This sites gives me intellectual analysis on our studies. Thank you so much for this wonderful site, it helps me a lot. Real treat to read a genuinely good article. You have covered almost all the points with deep research to create beautiful and effective website designs compare then bad web design. What you wrote makes sense. But most internet marketers and unprofessional web programmers make same mistake. Love to read it and definitely will share it in my developers team. Hi, actually after Google’s announcement on responsive web design, I was thinking to draft an article on it based on Google’s inputs, but I thought to get more ideas for better output even though I am a designer. This post boosted me with good inputs to draft my article. An informative and timely article, thanks Courtney and the commenters. I was browsing responsive Blogger templates and found quite a few of them. I am yet to check them myself. Will get back to you once I have done it. Meantime will appreciate your comments. True talk Courtney, thank you very much for the advice. i will take this into consideration. A very informative article both for the initiated and the uninitiated. Responsive Web Design is what matters the most today. If the experience of using a site isn’t good then there is hardly any chance a user will prefer staying for long on it. So almost everything related to Responsive designing is astutely put. Thank you, sir, for providing such important knowledge. I was making my blog website but I couldn’t understand how to build it. Your post really helps me a lot.